The image for the 33rd edition of Cersaie was designed by Elena Del Prete and Guglielmo Gennari. Cersaie, the world’s largest exhibition of ceramic tile and bathroom furnishings, will take place at the Bologna Exhibition Center in Bologna, Italy from September 28-October 2, 2015 for its 33rd year. The show is organized by Edi.Cer SpA and promoted by Confindustria Ceramica in collaboration with Bologna Fiere. This year, Cersaie is expected to attract 900 exhibitors from 30+ countries, and 100,000 visitors. The show will continue to host expanded categories of interior and exterior floor and wall covering materials including marble, natural stone, wood and laminate. A new image for the 33rd edition of Cersaie was designed by Elena Del Prete and Guglielmo Gennari, students of Industrial Design at IUAV of Venice – University of the Republic of San Marino, and winners of the Beautiful Ideas. The inspiration behind the design was to connect Cersaie to the production process of the raw materials from which ceramic is derived. Cersaie’s conference and seminar series, Building, Dwelling, Thinking, will feature the usual high caliber of industry speakers, with this year’s keynote given by Pritzker Prize winning architect Glenn Murcutt, who is regarded as Australia’s most famous architect. On October 1st, Cersaie will highlight Raumlabor Berlin’s experimental architectural practice with a presentation/discussion from Markus Bader of the firm and Fulvio Irace from the Milan Polytechnic. The Cer-Stile collective exhibition, created by Angelo Dall’Aglio and Davide Vercelli specially for this year’s Cersaie, will be dedicated to creative renovations of typical Italian landscapes. Nature will be reinvented with the addition of commercial and hospitality spaces that will showcase Italian products in a Mountain Pavilion and a Sea Pavilion structure. The 2015 Tiling Town taking place in the center of the exhibition hall, will feature a greater engagement by Assoposa who will work with the “Master Tilers” to feature techniques in installation and laying of tiles including large formats, thin formats, interior applications, and exterior applications. Cersaie designs your home will be back again this year offering interested visitors the chance for a free consultation with an architect at the show. 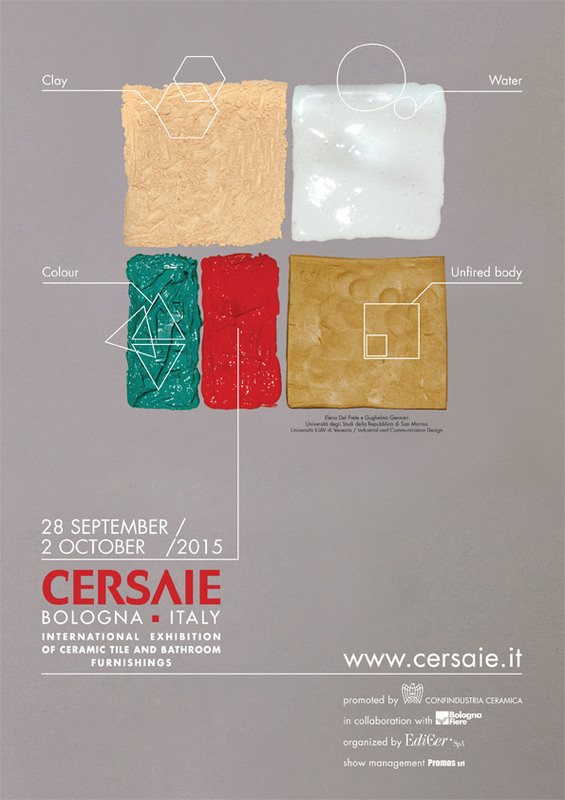 For more information about this year’s event, visit www.cersaie.it.